There I was: avoiding working out in the garden, ignoring housecleaning, making lists of things to see and do on our next little adventure, and taking care of a pesky mammogram appointment. I don't think any woman in her right mind actually enjoys having her breasts mashed between two plates and minutely examined, but undergoing the procedure is much better than many possible alternatives I can think of. Well, "the girls" and I went to our appointment... and a couple of days later I got a phone call saying that the doctor had seen something suspicious and wanted me back in to do 'er all over again. So I did, although I will admit to a grumble or two since I had to go to a different place. The girls got mashed and filmed again, and I sat in the waiting room with a couple of other women who were also waiting for news. My news? I have to go in for a biopsy. I saw the spot that concerned the doctor, and it's practically microscopic. No way could self-exams have found that itty bitty speck! Since it's so small, I'm not even going to worry about it. I'll just take the girls in again and have the biopsy done. I do think they're getting very tired of all this sort of attention, though! 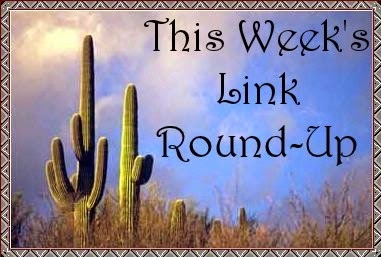 While I'm waiting for the scheduler to call, let me head on out to the corral to round up these links I've been saving for you. They're getting mighty restless! 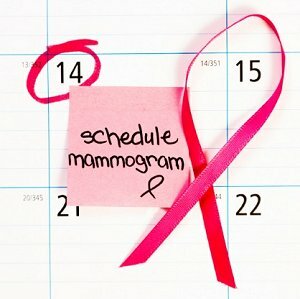 While I'm rounding them up, check the date of your last mammogram. Don't procrastinate-- I want you and I to talk books for years and years to come! Any Anne of Green Gables fans out there? L.M. Montgomery's home in Ontario will be opening as a museum. I am sorely tempted to buy this "Never Mess with a Well-Read Woman" t-shirt-- even if I don't wear t-shirts! Stephen King and Owen King are writing a thriller about a world without women. I want to read it! Can authors really be booksellers? Old Hollywood history has always fascinated me: the fixers who buried old Hollywood's biggest scandals. This doesn't happen all that often, but I actually agree with True West magazine's choice of the best actor who portrayed Doc Holliday. "Ghosts" in the Arctic: how the long-lost Franklin Expedition was found. Let them eat bread: the theft that helped inspire Les Misérables. Ancient rock carvings depicting masked people have been discovered in Egypt. Archaeologists have reconstructed the face of a medieval man who died 700 years ago. The world's biggest dinosaur footprint has been found in "Australia's Jurassic Park." What's it like to go to the movies in Britain? It's completely different! The library at Grey Gardens. Denis loves John Lennon. When I found out Lennon spent many holidays in Durness-- and how beautiful the area is-- I knew just how to get my other half up there. Then and now: five Scottish castles fading from the landscape. I still mourn the passing of journalist Jimmy Breslin. His columns were recommended reading from my mother. He even wrote about our current White House resident back in the late 1980s and early 1990s. Creator of Inspector Morse, Colin Dexter, has died at the age of 86. Mary Beard's top five powerful women in ancient Greece and Rome. Ruth Law learned to fly even though Orville Wright refused to teach her. Duncan Hines: the original road warrior who shaped restaurant history. Eleven authors who hated the movie versions of their books. Ten ways reading can help improve the relationships in your life. Fifty hilarious memes you'll relate to if you love books. Eight reasons why even a good book is rejected by publishers. Don't throw away your teabags. Here are ten reasons why you should plant them instead. They haven't called me yet to set up the appointment as they told me they would, which I find irritating. I'll be giving them a call Monday. I want this over and done with! I do hope all goes well with the biopsy. Sending 'good vibes'. Thanks, Cath-- very much appreciated! I hope your appointment goes well and the results are good. Sending you good wishes, and thanks for posting the links. The memo for book lovers is hilarious. I qualify as a book fiend in many categories. I will keep this and send it to sister book lovers (especially of crime fiction). Thank you for the positive thinking, and it's good to see that you enjoyed one of my favorite links, too. By the way, Susie Steiner's "Missing, Presumed," is a British police procedural with a woman cop as the main character. It's a well-told story, but what I enjoyed most was the jawdropping wit found in unexpected places. I've had that one on my radar for a while. I need to get it in my hot little hands. Thanks for the reminder! And thanks for the reminder on mammograms. I haven't had one for awhile, too long, and there is breast cancer in my family.